Those of us with a keen interest in technology know that getting to grips with new terms and acronyms comes with the territory, and the latest bit of tech-speak to get your head round is Bluetooth aptX HD, an upgraded type of Bluetooth just arriving on the market. It's good news for anyone who likes high-quality audio streaming over Bluetooth. Here we'll explain what Bluetooth aptX HD does, why it's better than what's gone before, and when you can expect to find it appearing in your smartphones and other devices. What is Bluetooth aptX HD? Simply put, aptX HD means better-quality audio streaming over wireless Bluetooth connections - your music and your movie audio and your podcasts should end up sounding better with the new technology installed. To get more technical, it's a type of codec, or a way of encoding the 1s and 0s that make up the audio as it flies through the air. All codecs have to compress audio tracks to some extent to make them small enough to work over Bluetooth, but the best codecs (like aptX HD) keep audio quality high and file sizes low. The problem with codecs is they need to be supported by the hardware you're using, both for playing back audio and listening to it, and latency and connection stability can be affected as well as the quality of the sounds you're hearing. The aptX HD standard is designed in part to try and standardise all these codecs and create a high-quality Bluetooth standard everyone can get behind. It boosts quality and signal-to-noise ratio, and reduces latency, compared with standard Bluetooth. In other words you should be able to hear those background instruments more clearly than ever and not notice any problems with the dialogue falling behind the visuals when you're watching videos. In its 'classic' form, aptX supports wireless audio transmission at a close-to-CD level of 16-bit/44.1 kHz. The overall data rate (another measure of quality) is 352 kbps and the compression level is 4:1. The new aptX HD standard ups that to 24-bit/48 kHz and a data rate of 576 kbps, while keeping the same 4:1 compression ratio. The origins of the aptX audio-coding algorithm stretches all the way back to the 1980s, where it was initially developed as part of a PhD project and then went on to find favour with film studios and radio broadcasters. It wasn't until the 1990s that aptX started to appear in commercial gear that you could actually go out and buy, and support for it has been gradually expanding since (Windows 10 now supports the aptX encoder, for example, so will work with aptX receivers over Bluetooth). 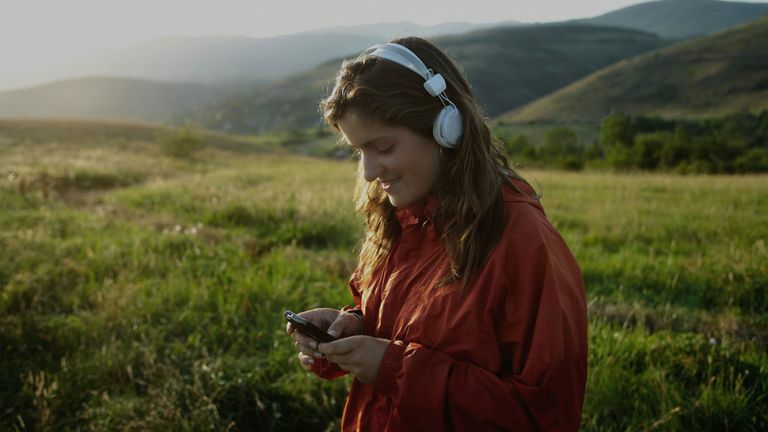 In August 2015, tech giant Qualcomm picked up the technology, and the next-gen aptX HD standard was actually launched at the start of 2016, bringing 24-bit hi-res audio quality for wireless speakers and headphones. As we know though, it can take a while before new technologies finally make it into actual devices. That's been the story with aptX HD so far - it hasn't made its way to too many of the flagship phones, headphones, and other devices that you'll find on the market, but it's slowly gaining traction and is definitely a spec to look out for with your future purchases. To be labelled Bluetooth compatible, a device needs to at least support the standard Low Complexity Subband Coding (SBC) codec, which will work everywhere you see the Bluetooth logo but doesn't always give you very good audio quality. To get up to aptX HD standard, devices need the CSR8675 Bluetooth chip, which can handle the 24-bit audio processing that the codec requires. It needs to be fitted in both the playback device (like your phone) and the listening device (like your headphones). Any device that uses aptX HD is backwards compatible with older Bluetooth products, but to get that great-sounding audio quality, you need to have aptX HD installed at both ends of the wireless connection. There's no way to add it in with an audio update, and there's no sort of upscaling (like you might be familiar with from 4K TVs). LG has been a prominent supporter of aptX HD, and you'll find it in the LG G5, LG G6, LG V20 and LG V30. OnePlus has also packed its phones with the high-quality wireless streaming standard - it's available in the OnePlus 5, the OnePlus 3T, and the OnePlus 3.